Something we love to do here at Light and Dwell is work with local artists. 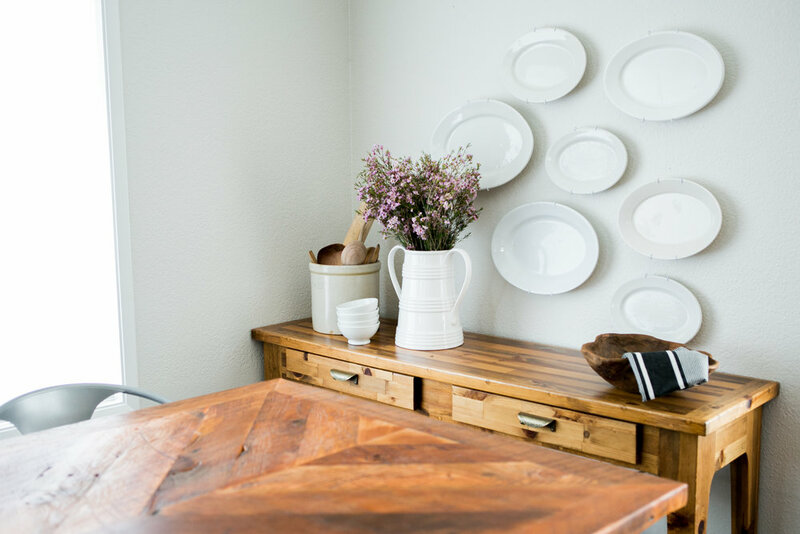 A few weeks ago, we worked with Bourbon Moth to style a beautiful dining room table he built. We didn’t want to go crazy with the styling, since the main show stopper was the beautiful table. We kept it simple, by mixing his farmhouse table with industrial metal chairs. Jason, from Bourbon Moth, is a great friend of ours, and we have some fun stuff in store with collaborating with him in the near future. He is very talented, and we are always so impressed by his work. This table in particular is one of our favorites!